Jeff LeBlanc’s first single Until We Get It Right quickly entered into the rotation of Sirius/XM’s The Coffee House and lead to his nomination as Sirius/XM “Singer/Songwriter Discovery of the Year”. His latest record, Worth Holding On To, released in August 2011 brought him to national attention, when it hit #3 on the iTunes top 200 Singer/Songwriter Chart. 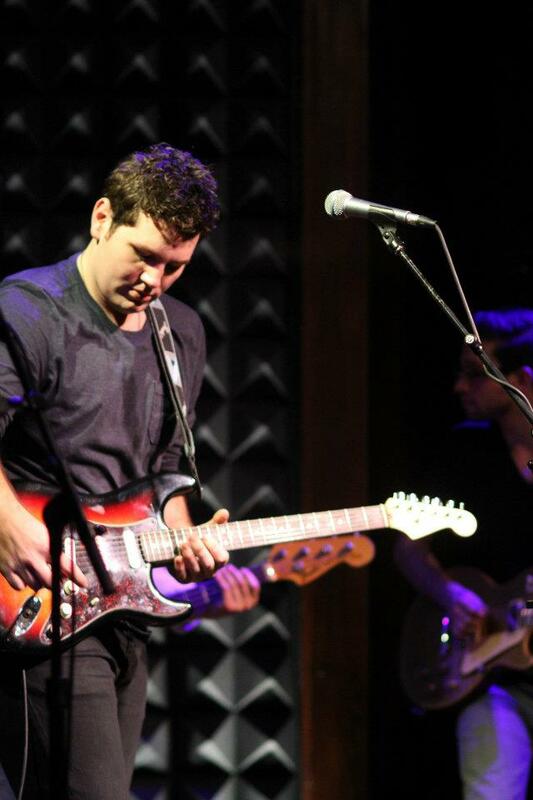 Jeff recently played to a sold out audience at the legendary Joe’s Pub in New York City and has toured with artists such as the Goo Goo Dolls, Shelby Lynne, Matt Nathanson, Chris Isaak and David Archuleta. Jeff recently released his new album My Own Way There which was recorded in Nashville and debuted in the Top 10 of the ITunes singer/songwriter chart. MK: I understand you would sing near Simon’s Beach Bakery out in Westhampton. Do you have some favorite treats from the bake shop? JLB: That place is legendary. It’s actually where I got my start. The crowds were so big in the summertime and they’re open all night. I could literally order anything there… I usually go with the mini-desserts; mini-cheesecakes, cream puffs and mousse pies. However the cream croissant is my new favorite. MK: I also read that you waited on tables during the day while performing at night when you were starting out. Any lessons learned from waiting tables that helps you today with the music industry? JLB: I did. Waiting tables teaches you patience. You also have to have to build a good rapport with your customers. When you’re on stage, the audiences are your customers as well. It also made me crave being on stage that much more. MK: Do you have any food rituals on the day of a performance? JLB: I really stay away from heavy and spicy food before a show, you have to feel your best on stage. Drinking water all day is major for me. MK: What kind of places do you like to eat while on tour? JLB: Depending on where I am, I try to go with something that’s popular in the local community. For example, every time I’m in the Boston area, you’ll probably find me at the Friendly Toast. but you have to try and find them. MK: I understand you recorded two albums in Nashville? They have a great food scene there. Where did you find yourself eating? Any favorites from your time spent there? JLB: The food scene in Nashville is incredible. Since I’m usually there for a few weeks at a time, I try to experience as many places as I can. Of course the classic “meat and threes” and BBQ joints are what Nashville is known for and they never disappoint. However, I really like the Calypso Café, which is Caribbean themed. MK: Any thoughts on why so many musicians are expressing themselves not only through the music but with food? JLB: I’m not really sure. So many people always say that music and food are so closely connected. I think people are really hungry (pun intended) for creativity with their food these days. The expansion of social media has also brought fans closer to their favorite artists interests than ever before. A lot of venues are also bridging the connection with music and food as well. 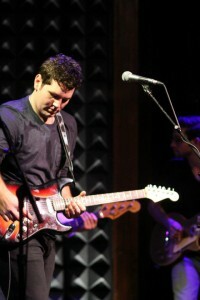 For example, some of my favorite places to play are Joe’s Pub in NYC and World Café Live in Philadelphia. They also have amazing menus. This entry was posted in Music and tagged Chris Isaak, Jeff LeBlanc, Matt Nathanson, My Own Way There, Shelby Lynn, Worth Holding On To on August 29, 2014 by entertainingbythebay. As we appropriate Labor Day weekend, I decided for my official Labor Day cocktail to combine two of my favorite drinks, rose and a margarita – and the combination of these two drinks is a Rose Sangarita, adding some of the fresh seasonal fruit so abundant right now to enhance the flavor. i like to use berries combined with some stone fruit so bring in the blackberries, raspberries and blueberries along with the peaches, apricots and plums to make your favorite sangarita! 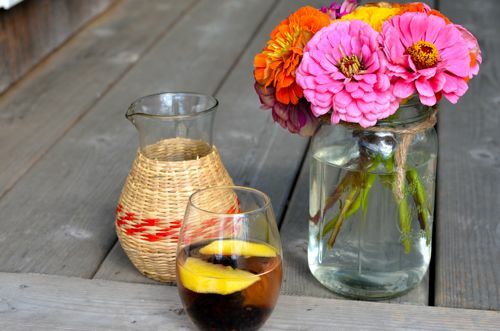 Put all the ingredients into a carafe. 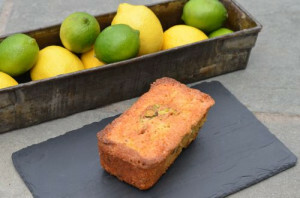 Mix well and refrigerate for minimum 3 hours and up to 1 day. Serve cold. This entry was posted in drinks and tagged berry recipes, peach recipes, rose wine recipes, sangarita recipes, sangria recipes, stone fruit recipes, summer drink recipes, tequila recipes on August 28, 2014 by entertainingbythebay. 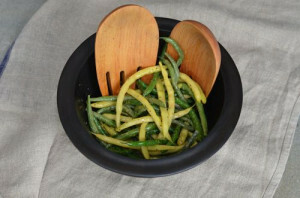 Here is a perfect summer side dish using all the wonderful colored string beans you can find in markets this time of year. The special ingredient that makes this salad so delicious is the peppery taste and earthy aroma of cumin. It lends an exotic note to a simple dish. From by the bay, wishing you exotic food memories! Blanch the string beans in a large pot of boiling salted water for 3 minutes until crisp-tender. Drain immediately and immerse in a bowl of ice water. When cool drain string beans and place in a large bowl. Prepare dressing by whisking the remaining ingredients in a small bowl. Pour dressing over string beans and mix well. Serve at room temperature. This entry was posted in salads, side dish and tagged cumin recipes, green vegetables, string bean recipes, summer food recipes, vegetarian recipes on August 21, 2014 by entertainingbythebay. This entry was posted in cakes, desserts and tagged dessert recipes, lemon recipes, pistachio recipes, pound cake recipes on August 17, 2014 by entertainingbythebay. A classic Greek salad combination is watermelon with feta., it’s one of those perfect food pairings- sweet and juicy watermelon paired with creamy and salty feta cheese. This recipe gives this classic a new twist by grilling the watermelon. 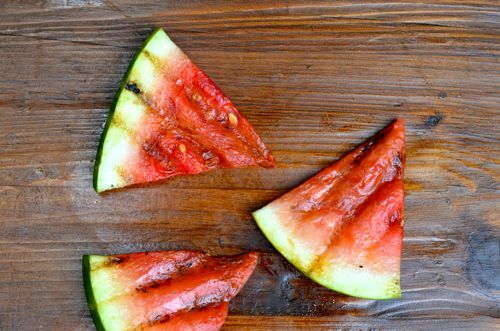 The natural sugars in the watermelon caramelizes when grilled, heightening the sweetness of the fruit. It’s and easy salad to make and perfect summer food fare. Enjoy! From by the bay wishing you sweet and salty food memories! Peel and halve the red onion and cut into very fine half-moons and put in a small bowl adding the juice of two limes. This will soften the onion and making it more transparent and pink. Slice the the watermelon into 1 inch slices including the rind. Cut into triangle shapes. Heat grill and brush both sides of each watermelon slice using 1 tablespoon olive oil. Place on grill for about 3 minutes per side, until charred. To assemble the salad place watermelon on platter. 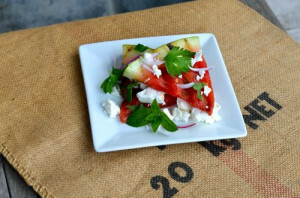 Crumble feta cheese over the watermelon. Toss over the salad the parsley and mint. Sprinkle the red onion over the salad along with lime juice. Drizzle remain olive oil and add pepper to taste. Serve immediately. This entry was posted in salads, side dish and tagged feta cheese recipes, Greek food, Greek recipes, summer recipes, vegetarian recipes, watermelon recipes on August 14, 2014 by entertainingbythebay. Trying to make the most of this season’s fresh corn, lead me down the path of making corn into a dessert. Summer’s sweet corn makes a wonderful ice cream especially paired with another summer favorite blueberries. 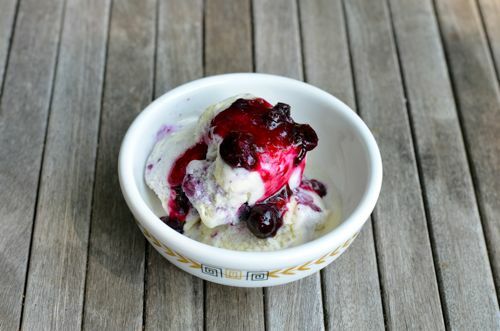 I use both the cut kernels and the cobs with milk, sugar and cream to create this delicious creamy ice cream, mixed and topped with blueberry compote. When you taste the ice cream, it taste familiar and sweet. The taste of corn is subtle and rich. It’s a perfect summer treat! From by the bay,wishing you summer sweet corn memories! Cut kernels off each ear of corn and place into a large saucepan. Break cobs into pieces and also add to pan. Add to the pan the milk, cream , 3/4 cup sugar and xanthan gum. Place on medium heat , bring mixture to a low boil for 5 to 10 minutes until mixture is thicken slightly and sugar is dissolved. Remove from heat, remove cobs. Using an immersion blender, puree kernels. ( You can also use a blender to liquidfy but the immersion blender is quickest and easier clean up). Let corn mixture infuse for about an hour and then pass the mixture through a fine sieve into a bowl. When straining make sure you are using the back of a spoon to push the liquid through. Also scrap the liquid from the bottom of the strainer in the bowl. Place bowl in the refrigerator to chill for 2 to 3 hours. In the meantime, to a small sauce pan add blueberries and 1/4 cup sugar in a small saucepan . Place on medium heat until the blueberries start to pop and mixture thickens. Set aside to cool. Make the sweet corn mixer in an ice cream maker according to directions. Right when the ice cream is ready slowly pour the blueberry sauce into the ice cream to swirl one or two times. Pour into a freezer safe container and store in freezer until ready to serve. This entry was posted in desserts, ice cream and tagged blueberry recipes, corn recipes, cream recipes, ice cream recipes, no egg ice cream recipes, summer recipes on August 7, 2014 by entertainingbythebay.